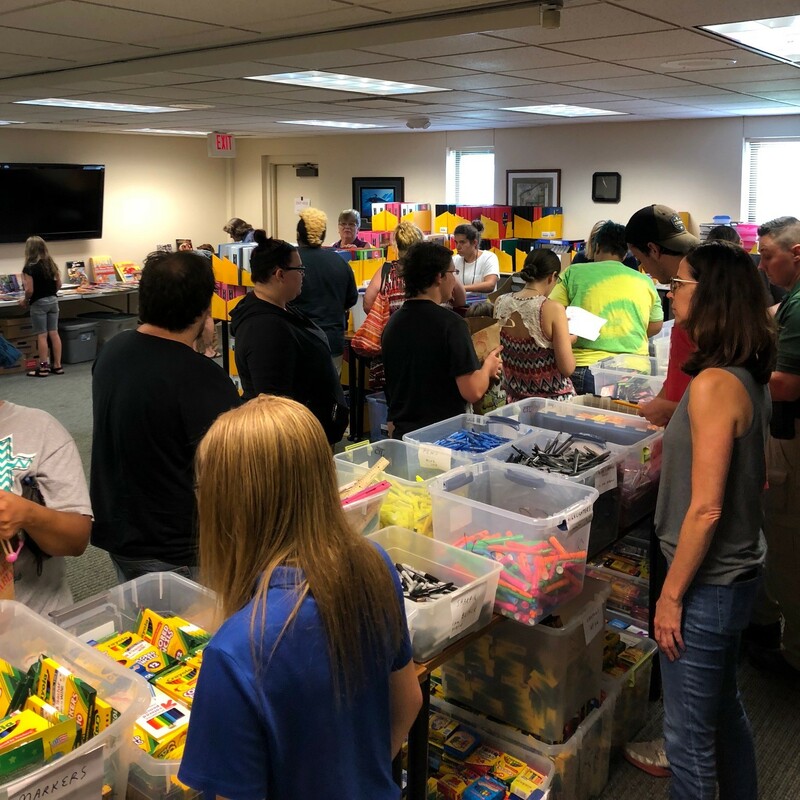 Each year, Geauga County JFS sponsors the “Help Me Learn” program to help children in need throughout Geauga County with school supplies for the upcoming school year. The program, supported solely from donations, receives a variety of school supplies including back packs, paper, notebooks, binders, markers, pencils, pens, crayons, and scissors. Monetary donations are used to purchase additional supplies needed for the program. Qualifying families register for one of the two distribution events, one held at JFS, and the other at Chagrin Falls Park Community Center. Parents are encouraged to bring their children so they can "shop" for school supplies. Volunteers help the kids fill the items on their school supply list. There is no cost to the families but they do need to demonstrate a need to participate. Donations are received throughout the county by individuals, churches, and organizations. Last year we received over $9,600 in monetary donations, and thousands of schools supplies. As a result, more than 514 children, from every school district in the county, received help with school supplies. We also collaborated with Morning Star Friends church who organized a clothing give away and hair cuts on the same day.